Disney is taking the fashion world by the reigns this season via multiple collaborations with fashion brands such as Kate Spade, Vans, Rag & Bone, Marc Jacobs and Levi’s. For what is arguably the most inspired collaboration yet, Disney taps iconic British footwear brand Hunter for a Mary Poppins collection celebrating December’s sequel to the classic movie. 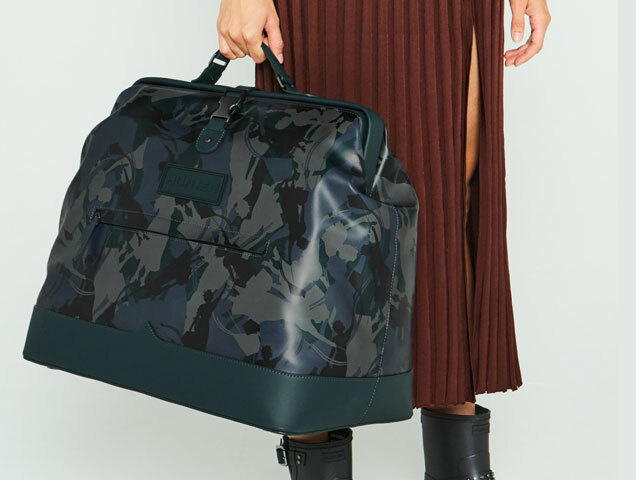 The Disney x Hunter collection features Mary Poppins’ silhouette atop the brand’s signature camouflage in the usual military green, along with blue, black, pink and purple. 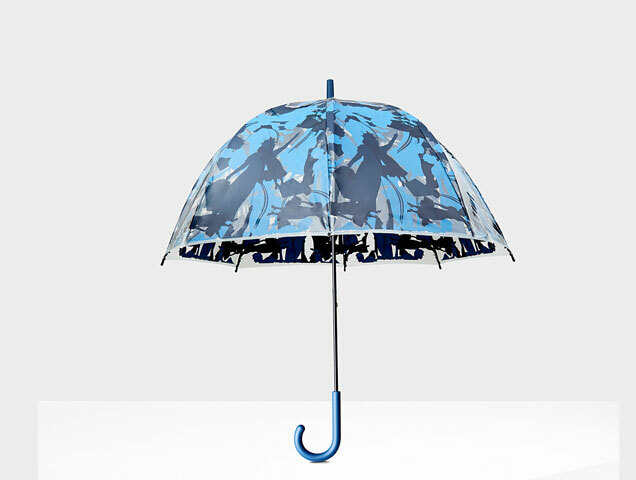 Accessories include women’s and children’s rainboots, a handbag inspired by Mary Poppins’ carpet bag and, of course, an umbrella. The collection is (as Mary Poppins says) “practically perfect in every way” and is sold exclusively in Hunter stores and online for a limited time.